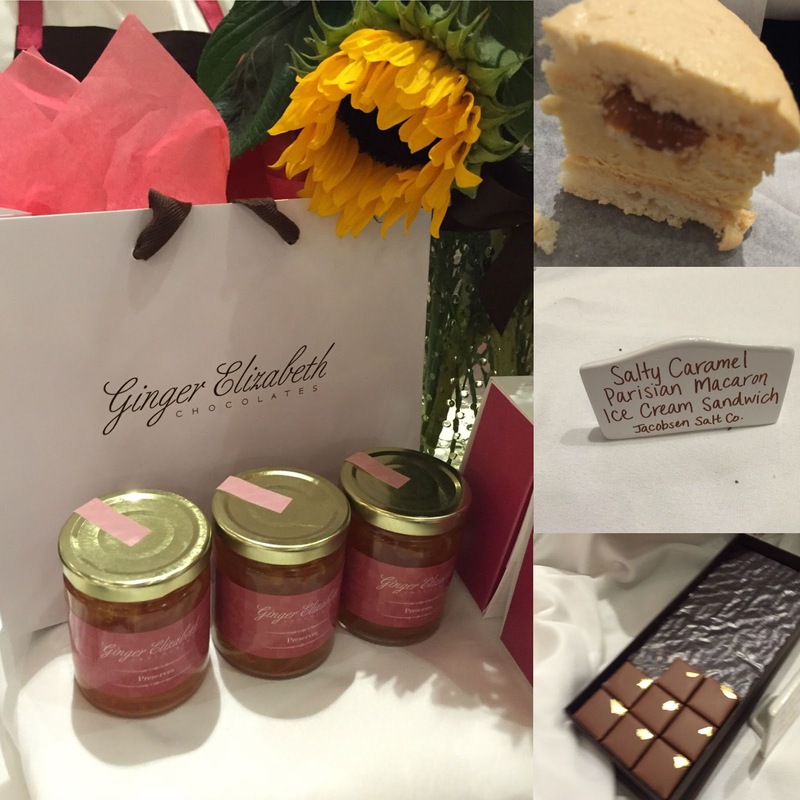 This summer's International Food Blogger's Conference was as tasty as it was fun. 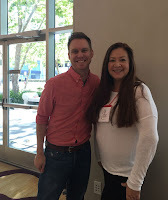 Joining about 300 fellow writers in the Sacramento area was a great way to discover wonderful things I had been passing by in my day-to-day life, since I travel to SMF at least once a week. The keynote by John Ash was inspiring as he shared insights from his friendships with Julia Child, MFK Fisher, Wendell Berry and his own experience. Julia's advice to "Chew with your mouth open" might not be acceptable in all social settings, but her example of connecting with food, with people and with her passion were great tips. 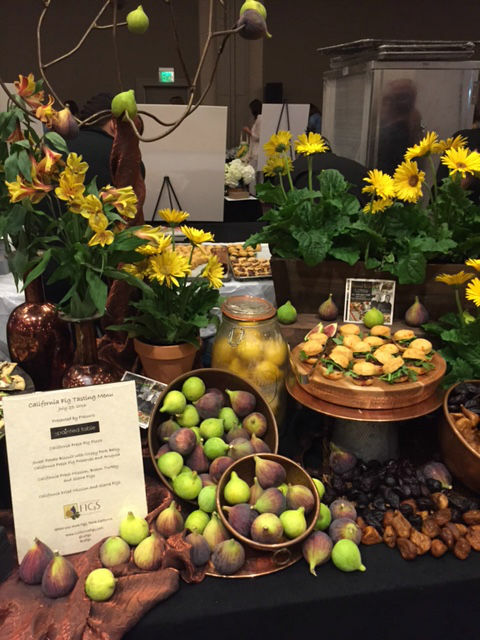 California figs are the most photogenic, but California Peaches, California Almonds and a host of fresh, delicious everything made eating a joy at every meal. I got to meet producers of California Endive and learn how they are grown. I came away with a surprisingly easy salad recipe made from canned peaches, mozzarella and basil. The California Almond folks provided a cool single portion tin I keep with me to do quick, healthy snack/meals on the go. 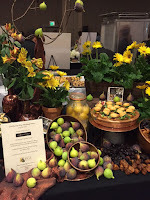 Figs inspire me to grill and put in salad or make into ice cream for a fresh, creamy dessert. Meeting all the producers and hearing their stories was amazing. Marin French Cheese has been in business since 1865 producing award winning cheese like their famous Breakfast Cheese. It was delightful to try at the opening reception. Laura Chenel with the marinated Cabecou was something I hadn't tried, but now keep in the fridge. 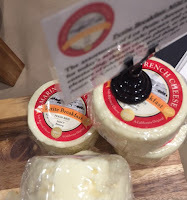 Laura Chenel cuts their fresh goat cheese into disks, then dries them for about a week. Then they are packed in tubs with infused olive oil. The disks soak up the great flavor of the oil. Seasoning the oil enhances the delicious cheese even more. 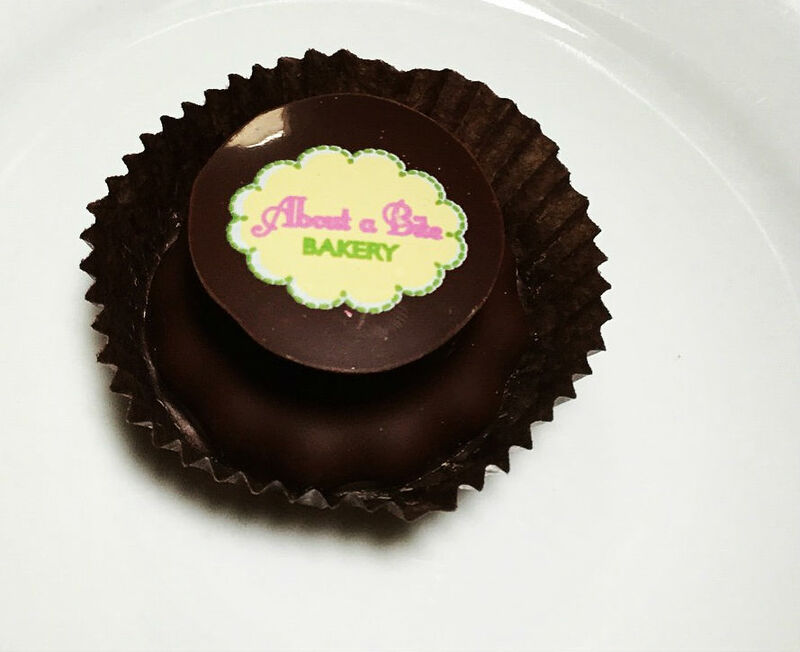 Bonus for us busy hostesses: the disks come out of the container ready to delight your guests. No last minute slicing. Jimboys have been serving tacos in the Sacramento area since 1954. 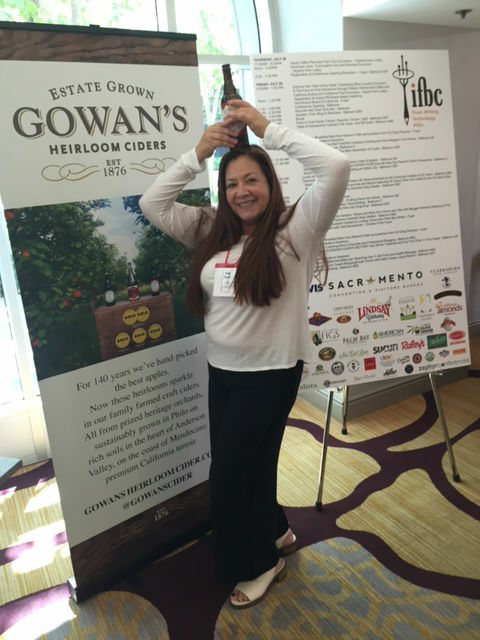 Why I never had one till 2016 at #ifbc, I cannot explain. Their tag line is "Get out of your Shell" urging you to try their exotic flavors, which are tasty. However, the powerful allure of the Classic ground beef taco, is one that entranced me. Rich and flavorful the taco had a homemade taste that reminded me of tacos we made when I was a child. And paired with a Due Vigne Nebbiolo, it was very tasty. "Serving Southern style American food that happens to be meatless" is how the restaurant describes themselves. When I tasted the plum farro salad I was blown away by the freshness and balance of the flavors. I did not miss the meat and am always on the prowl for new places to go. 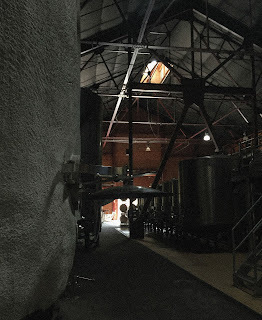 During my excursion at the International Food Blogger's Conference held earlier this summer in Sacramento, I was lucky enough to be part of a wine safari to Clarksburg that opened my mind to this great region right under my nose. I actually had visited once before, but it happened nearly by accident on a girl's trip to Reno. One intrepid friend insisted we exit off 80 to look for wine. 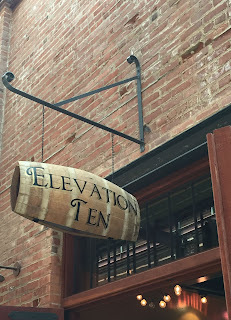 As implausible as it seemed to dart off the highway, we did find some fun wine and a great lunch. This time, I passed through the town of Freeport in a coach full of fellow bloggers, which was led by Dave Ogilvie of Wilson Vineyards . Along with his brother Phil, these brothers lead their family business and are part of the area's history. Dave told us most of the fertile land in Clarksburg had been reclaimed from sloughs as part of the Arkansas Act of 1850, when Dutch engineers came in to create levees, then sold tracts of arable land. The twins are the fourth generation of a farming family that started with onions, a crop whose first harvest paid for the land. In the late '60's, the Ogilvie family started growing grapes. Taking advantage of the cool air generated from the Sacramento river as it wends its way to the San Francisco bay, the climate is able to produce delicious wine grapes. We tried the Wilson Vineyards wines in a lovely special events facility famous for its parties and weddings. 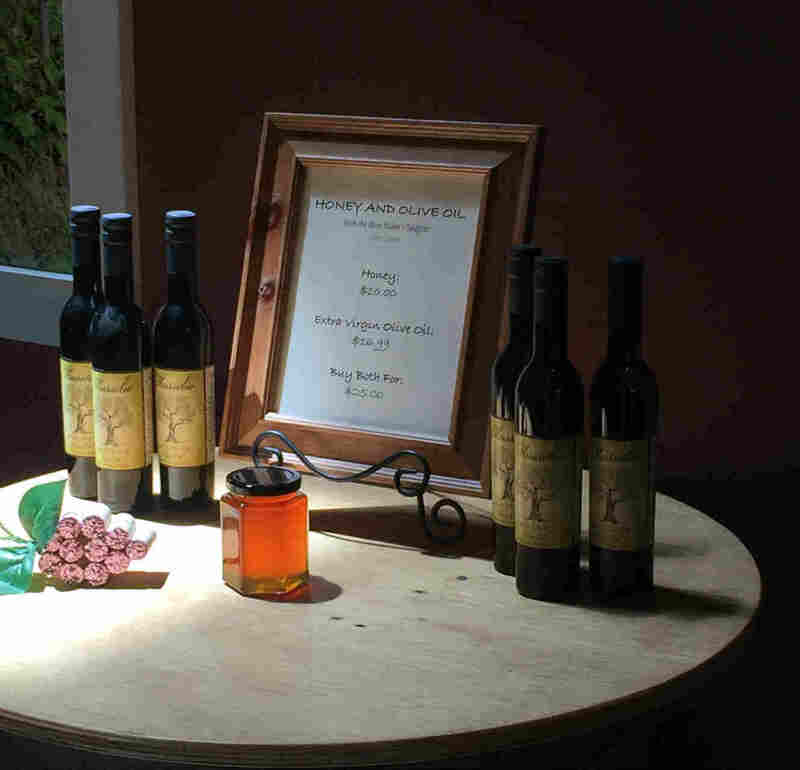 A rustic space set in leafy riverside garden, it was a fun place to try the wines. I particularly enjoyed the Wilson Vineyards, 2014 Chardonnay ($14.99) This unoaked Chardonnay. has an almost creamy texture; Phil uses a batonage technique to clean up the wine , making it crisp and fresh, at the same time as it holds a lovely body. The pale lemon color lets you know it's unoaked. It had nice balance and a long vinous finish. This wine is made at the Old Sugar Mill, which hosts the Clarksburg Wine Company's custom crush facility as well as the location of 11 tasting rooms and was our excursion's next stop. Clarksburg Wine Company's custom crush follows the Lodi Rules protocol. Since lots of people and fruit come through, they are meticulous about cleaning and maintaining to avoid contamination and its spoilage issues. This facility balances overhead costs for small producers. Things get busy at the custom crush about two weeks or so after harvest. Then, the loads of grapes start to come in. It usually starts with Chardonnay for sparkling wines. Then come the Rieslings and Chenin Blancs, and finishes with the reds in order of phenolic ripeness. The delivery vehicles range in size proportionate to the size of the producers, so you see all kinds of trucks from giant tankers to a single Ford F150. The dedicated workers at the custom crush make sure they defy Murphy and his law and maintain the equipment carefully. is named for Clarksburg's position above sea level, which is ten feet. Led by winemaker Marco Capelli, here three families strive to make wines they love in a place they love. They buy fruit and vinify at the custom crush. I tried the Elevation 2014 Reserve Chardonnay ($34) and found it delicious. 14 months on the lees in 49% new french oak makes the most of this natural yeast whole cluster wine. It had nice acidity as well as savory and citrus notes. Haunting cherry luscious DueVigne Barbera, 2014, El Dorado County ($? Wine Club Member Only) was a dark yummy wine with mouth watering acidity that made me glad I had some meat and tomatoes to pair with it. The Barbera grapes are grown in nearby El Dorado county in a vineyard named La Colima, which means "high hill" in Spanish. In fact, the vineyard is so steep. if you let the clutch out on a tractor it would fly down, They use a Barbera clone from Asti Italy, which delivers warm, old world-ish aromas and luscious red fruit flavors. "Wines sing when you have total control over the fruit", I was told. I also tried their Nebbiolo at the IFBC event the next day and made a very satisfying pair with a classic Jimboy's taco. These wines love food almost as much as I do. Started by a retired firefighter whose family has strong ties to San Francisco, these are delish wines worth seeking out. Clarksburg Wine Company claims to have America's favorite Chenin Blanc. 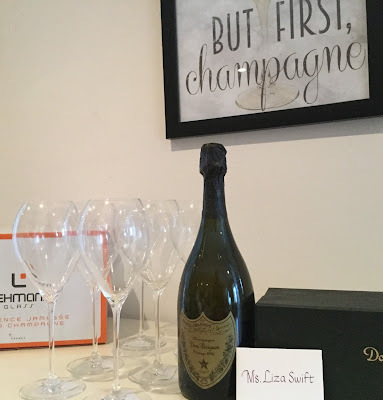 I had sourced several bottles in anticipation of my visit. Lucky me as I got hold of the sold out Chenin-Viognier blend and can vouch for the tastiness of their Chenins. At lunch, I got to try the Clarksburg Wine Company 2013 Cabernet Franc, Clarksburg ($29). Redolent with dark fruit aromas, and a touch molasses set off by a hint of salinity in the flavors, I enjoyed this wine and its lovely tannic structure. Vinous led fruity notes in finish with touch of vanilla celebrated a Bordeaux influenced style of California winemaking. My favorite part was the hint of jalapeño. 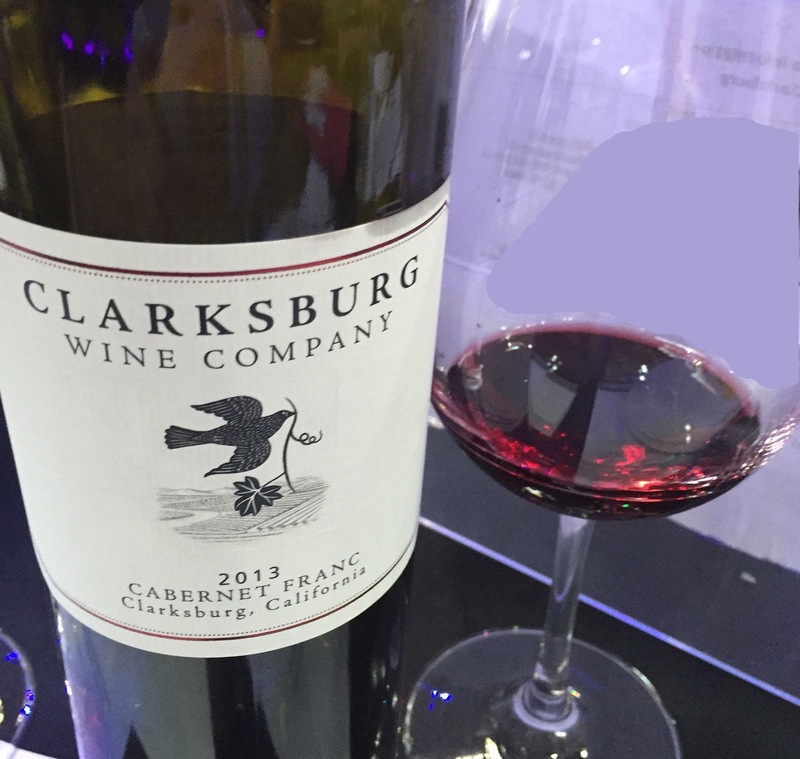 Their 2013 Chenin Blanc, Clarksburg ($18) was great with cheese, since the flavor is so fruity I thought there might be that touch of residual sugar, which contrasts so nicely with cheese. 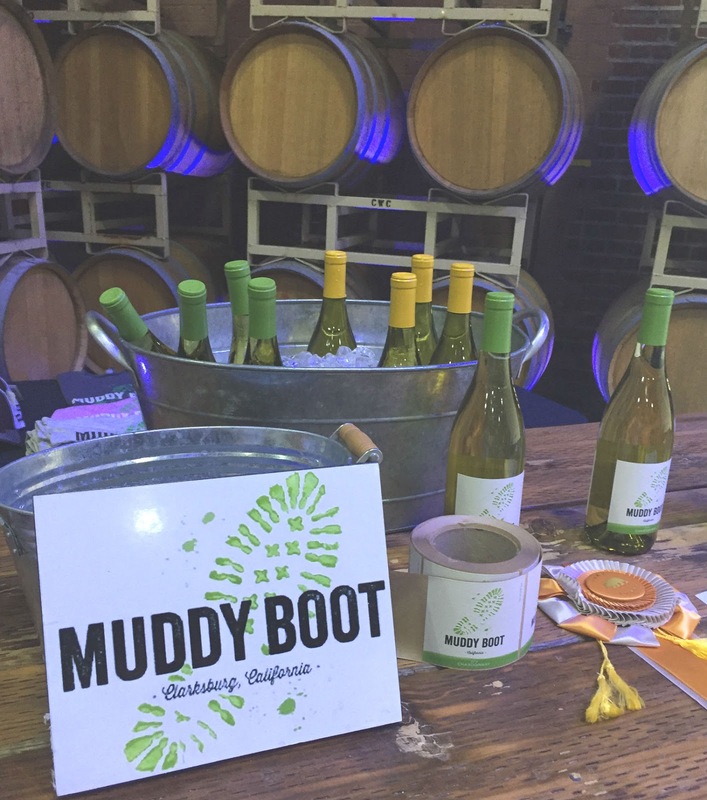 The name Muddy Boot Wines connects their brand to farming, which they believe is the key to quality wine. The three principals, twins Phil and Dave Ogilvie along with lifelong friend, Tom Merwin , all returned to their Clarksburg farm roots to continue farming tradition through wine. They capture the deliciousness of the area. The Muddy Boot Red Blend uses a blend of 45% Syrah, 35% Petite Sirah, 11% Merlot, 5% Cab Sauv and 4% Cab Franc to blend a red wine that is fruit forward, but not sweet or stewed. It has a touch of baking spice in the aroma and juicy red fruit in flavor and more spice on finish. 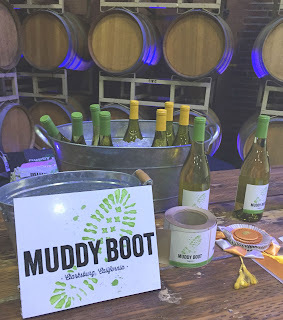 The 2013 Muddy Boot Red Blend, Clarksburg/Lake County California never loses its vinous character though fruit led. The only note I have for their Chenin Blanc is "yummy". 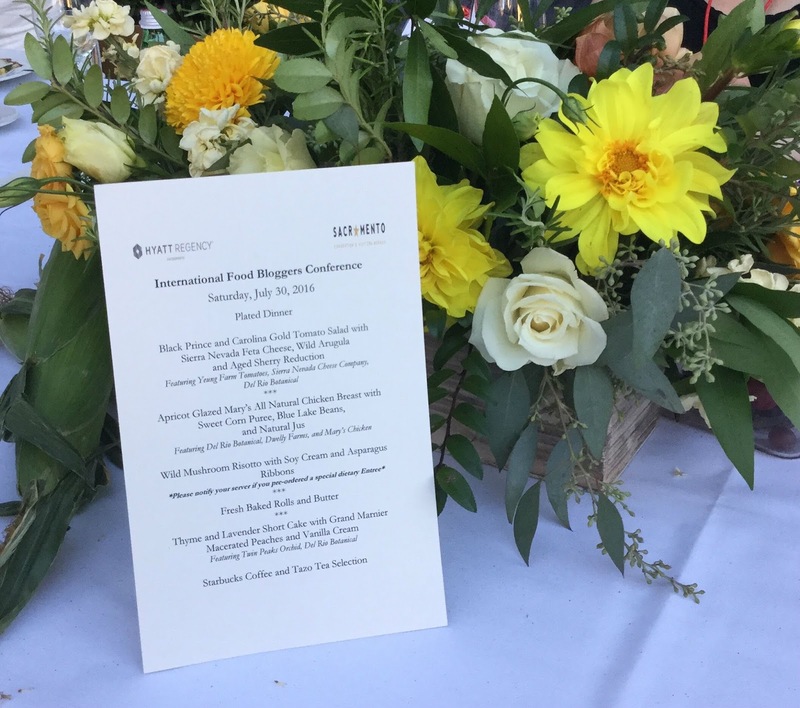 Many thanks to all the wineries that hosted me at this wonderful event as a part of the International Food Blogger Conference. I can't wait to return to Clarksburg! 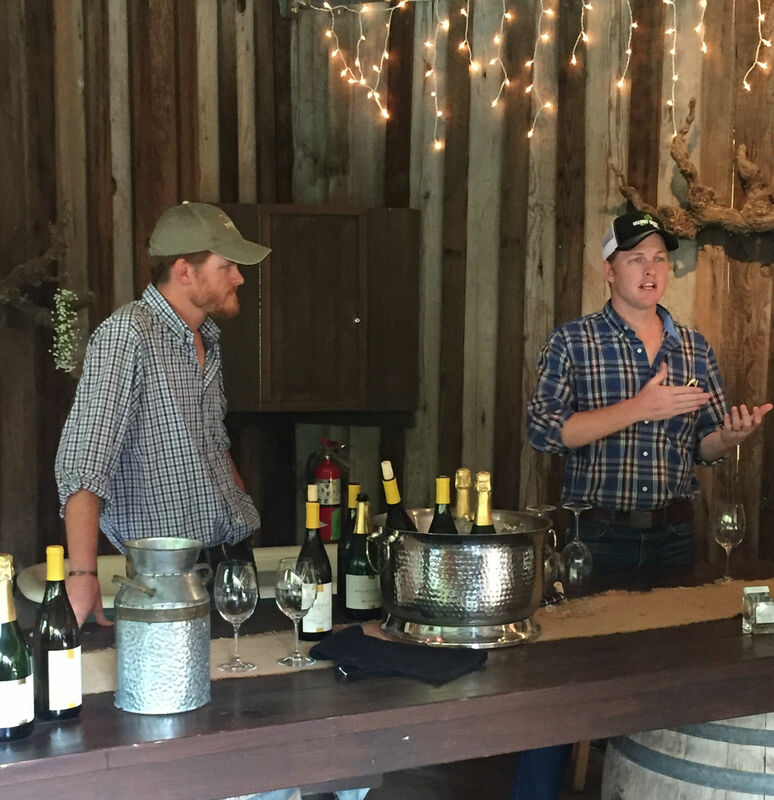 Family Winemakers is the voice for small production, family-owned wineries here in CA. Established in 1990 this organization advocates and lobbies for these small businesses. They have two tastings a year in Southern and Northern CA respectively, and I love to go and support this organization and it's wineries. 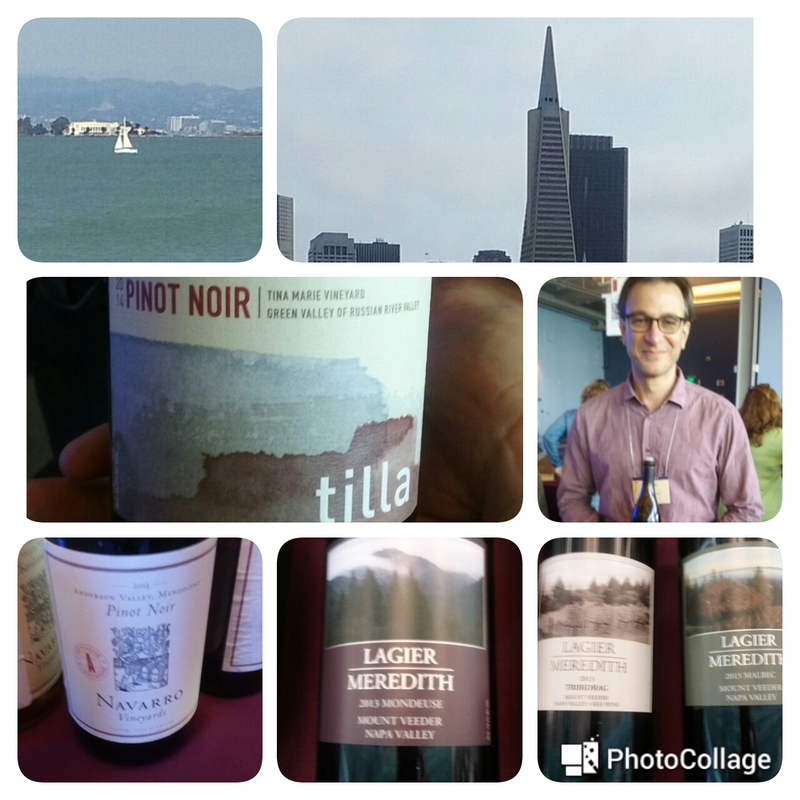 The annual Northern California tasting took place at Pier 27 on the picturesque San Francisco Bay. The site was spacious with excellent views from every direction. This is a prodigious tasting of over 100 wineries so I didn't get to sample every wine even though I was spitting. 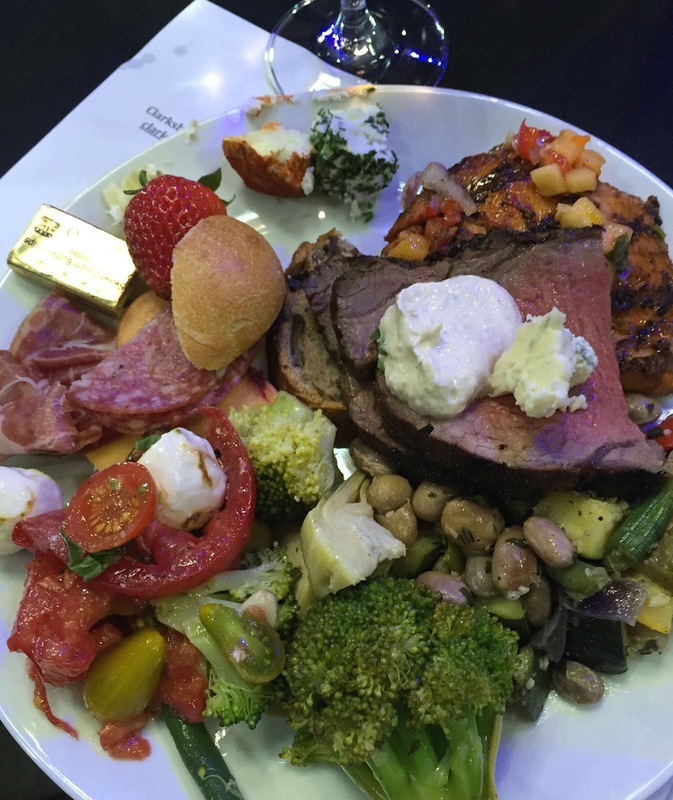 Fortunately they provide bread, cheese, charcuterie and chocolate to balance out your wine-tasting experience. 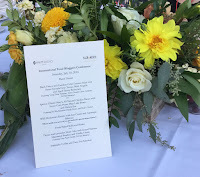 I visit my perennial favorites such as Navarro for Pinot Noir and Alsatian whites (the late harvest Gewurtzraminer was so pretty); Lagier Meredith for Syrah, Zin, Malbec and the obscure Mondeuse; Delectus for classic Bordeaux varieties from Napa. And of course the Cabs from Ladera and the Pinots from Sojourn. And then there are my new favorites: Thirty-Seven from Sonoma showing their crisp Albarino and a delicious red blend featuring Blaufrankisch, amongst their line-up of Chardonnay and Pinot Noirs. And then I found the soulful, balanced Pinot Noirs made by winemaker Atilla Telli under his label Tilla. 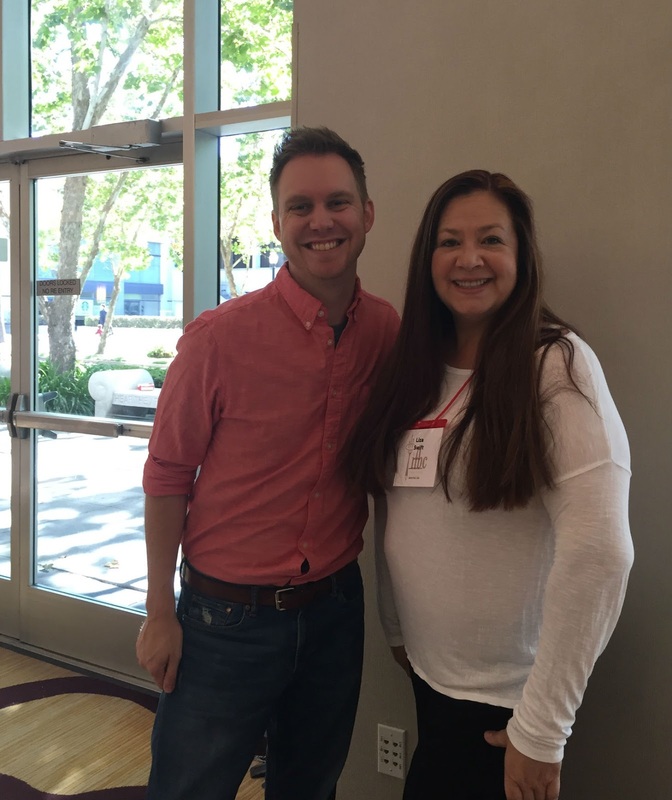 He learned the trade from Scott Rich, owner and winemaker of Talisman Wine, one of my fave Pinot houses in Sonoma. He featured Pinots from the Tina Marie Vineyard in the Russian River Valley and the Spring Hill Vineyard of the Sonoma Coast. Atilla is a winemaker to watch. 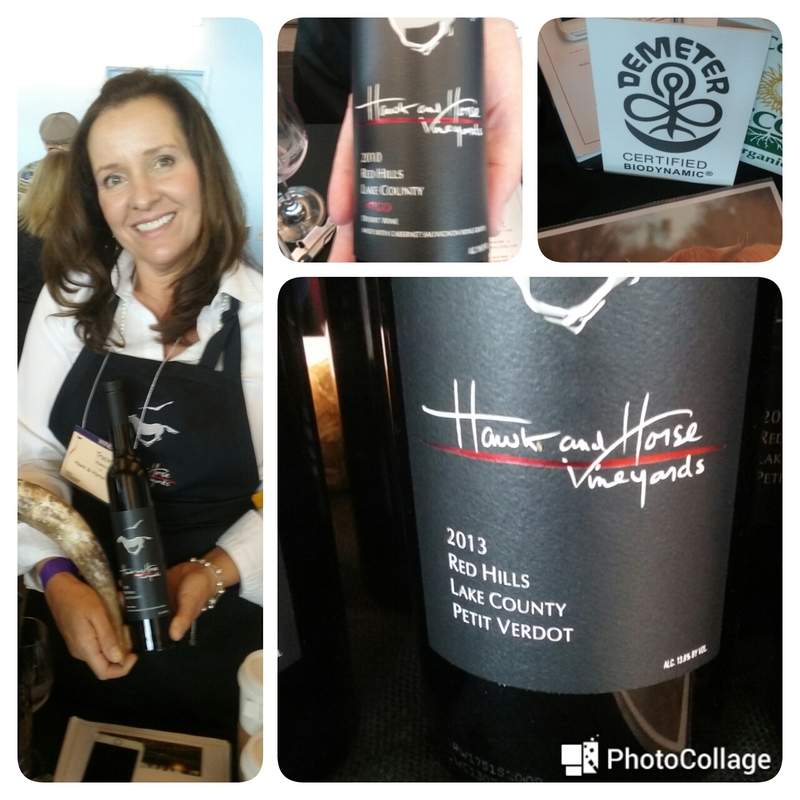 And then there was Hawk and Horse Vineyards which were developed from a former horse-breeding ranch in the Red Hills of Lake County AVA. I was initially attracted to their bottling of 100% Petit Verdot but was really taken in by the Latigo which is winemaker Tracy Hawkins' award-winning Port style dessert wine made of Cabernet Sauvignon. Latigo is a wine made for chocolate and cigars and so tasty. Hawk and Horse is also one of the few wineries that is completely biodynamic, organic and even Demeter certified. They also raise Scottish Highland cattle on the property along with the eponymous Red-tail Hawks. 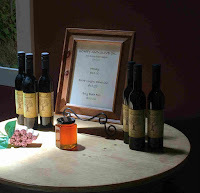 And then there was Bella Grace an Amador County winery which was the new darling of the 2016 Wine Bloggers Conference held in Lodi this August. They have a stellar line-up of whites including Vermentino, Roussane and Grenache Blanc. The reds included Zinfandels, Barbera and a GSM blend. 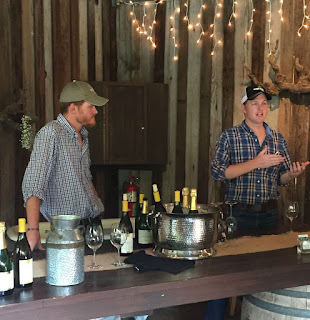 These wines are worth the trip to the Sierra Foothills.